If you or someone you know is facing charges including but not limited to Murder, Manslaughter, Impaired Driving, Drug Trafficking and Assaults or any charges under the Immigration and Refugee Protection Act, we encourage you to call Mr. Yusuf for a consultation at (604)518-3100. Mr. Yusuf has practiced Criminal law since he was called to the Bar in 1998. He recently returned to the criminal defence bar after serving seven years as a B.C. crown prosecutor. In 2011 he obtained his Masters of Law (LL.M.) degree specializing in Criminal Law from York University. In addition to practicing Criminal law, Mr. Yusuf is a faculty member of the Kwantlen Polytechnic University Criminology department where he teaches a variety of courses with respect to the criminal justice system and criminal procedure. The combination of his education, experience and teaching leads to a court room presence that is both confident and current on the very latest developments in criminal law. 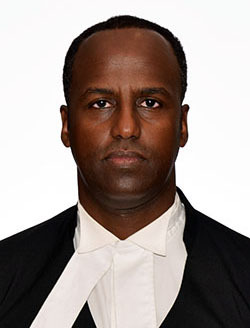 As a seasoned Criminal lawyer Mr. Yusuf has conducted hearings and trials at all levels of court in a wide range of offences under both the Criminal Code of Canada and the Immigration and Refugee Protection Act. Mr. Yusuf is pro-active in obtaining the best results for his clients and is dedicated to providing effective and high quality legal representation.